The Center for Advanced Dentistry is a state-of-the-art office with expert dental professionals providing cosmetic, general and sedation dentistry. The Center for Advanced Dentistry is a full-service dental office offering a broad array of cosmetic, restorative and preventative dental care. From simple cleanings and X-rays to the highest quality dental implants in the Auburn and Lewiston area, you can rely on getting the best dental care in a cutting-edge office with the latest in sterilization and sedation techniques. We are equipped not only with cutting-edge dental equipment that provides better X-rays and more precise crowns, but also a highly educated staff of hygienists and dentists who regularly participate in continuing dental education. Offering our neighbors the best dental care is a passion for all of us at the Center for Advanced Dentistry, and we’ll never be satisfied with second best. Many Lewiston area patients who have delayed care, to the detriment of their dental health, because of dental anxiety have found a home at the Center for Advanced Dentistry. This is for two distinct reasons. First, we offer a comfortable atmosphere where your anxiety will be at least partially alleviated by the compassion and professionalism of our staff. Secondly, we utilize the latest in safe sedation dentistry techniques to provide unparalleled relaxation during your dental treatments. You no longer have to jeopardize your dental health out of fear. 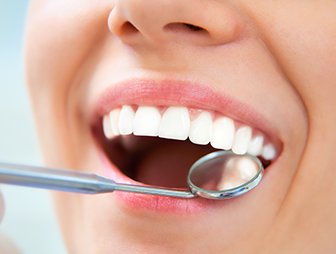 Let us show you how worry-free quality dental care can be. Give us a call today at (207) 784-7355 to schedule an appointment with our compassionate staff of dental health experts. Endowing patients with the smile they’ve always wanted is one of the most rewarding things our dental professionals do at the Center for Advanced Dentistry. 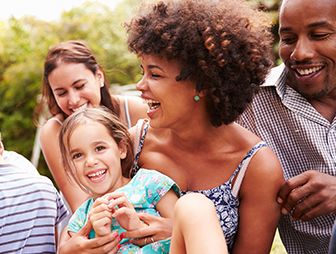 Providing the highest quality dental care for the whole family is a core foundational mission of our practice at the Center for Advanced Dentistry. 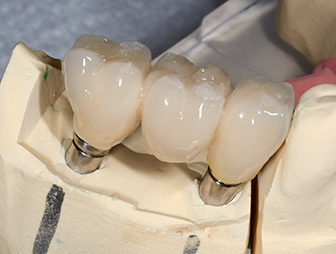 Whether you’re missing teeth or you are a denture wearer who is tired of loose, ill-fitting dentures, we can develop a customized dental implant solution for you.